We’re thrilled to share our new Sample-branded SoL cups, now in our cafes and for bundling with online coffee deliveries. This glass is also extremely durable, containing a high percentage of borosilicate, making it strong, lightweight and 100% chemical free, as well as being microwave and dishwasher safe. Beautifully crafted so you can support the environment. Sol was designed to reduce plastic production and also take care of your health, Sol is leading the way in innovative drink-ware without the compromise of style. 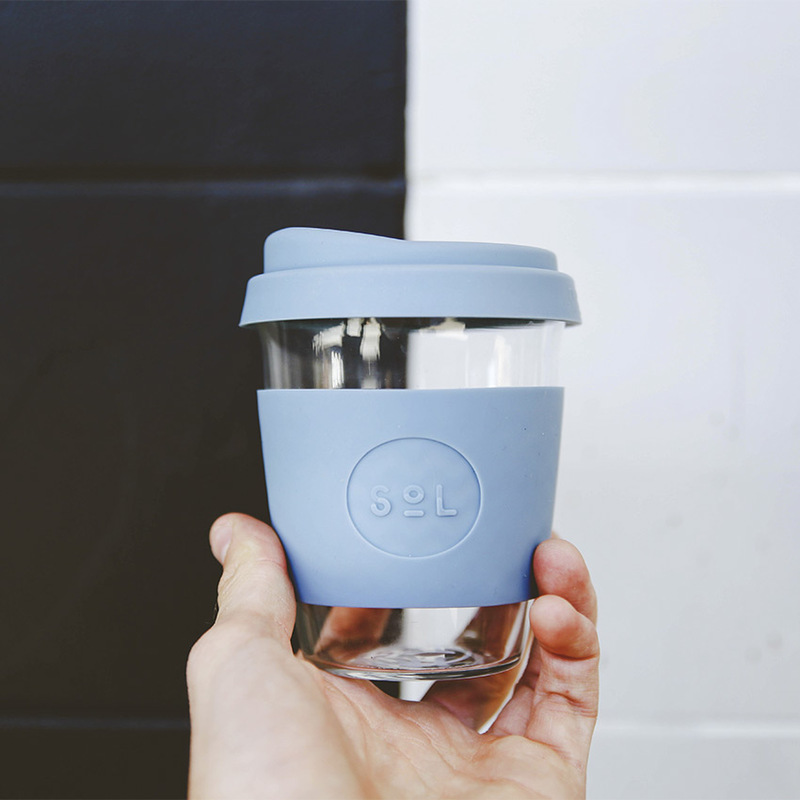 SoL Cups is an Australian family-owned company, born from a desire to make a reusable cup that is environmentally friendly and won’t compromise your health. Due to a variety of life experiences and health-related issues, we’ve done in-depth research and have extensive knowledge about the harmful impact the use of plastics has on the human body, and we want to share our passion for wellbeing with as many people as possible.